Beauty—More Than Anything for a Pretty Girl & Handsome Boy! Beauty matters more than anything for a pretty girl and a handsome boy. Though body figure, hair and certain other aspects do contribute to feminine attractiveness, facial appearance is considered the most important factor in this regard. What if you do not have a natural wealth of beauty? Obviously, you always have the option to go for artificial beauty. It can be achieved by the use of cosmetic products. The choice of a befitting and standard cosmetic product is a difficult task. A sub-standard or low quality item can spoil all the natural appeal and freshness of your facial skin. The damaging effects are sometimes irreversible. The market is replete with beauty products from different brands but only a few of them enjoy the trust of the users. Usually, the imported items are given more value. In the recent years, the Pakistani cosmetics industry has been successful in winning the trust of the users by producing high quality products. The locally produced items also fall considerably light on the pockets of the buyers. 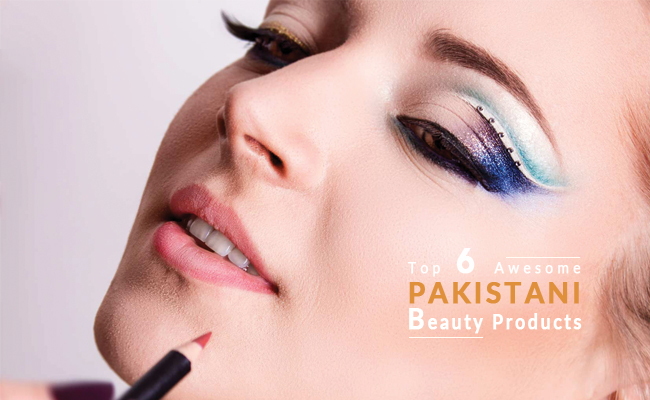 The Pakistani cosmetics industry has a lot to offer to the aspirants of extraordinary beauty. With a real life experience, you’ll stop thinking about the imported items as a more attractive alternative. Here you are. The Organic Secrets Sea Whisper Shampoo is the perfect choice for imparting a graceful look to your hair. It is, however, a cleansing shampoo and should not be used on regular basis. This product can be considered as an alternative to the Big Shampoo from Lush. 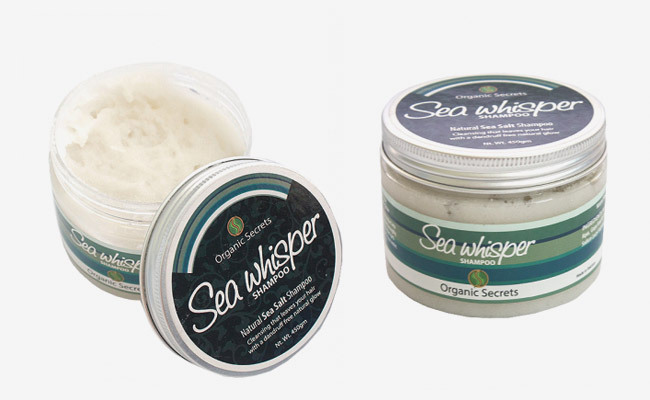 Though you might be attracted to the aroma that Lush carries, Sea Whisper does exactly the same job, i.e. its application will make you feel like a mermaid. It’s price is around Rs. 800. A good lipstick adds to the freshness and vitality of lips. Medora – a Swat based cosmetics company – is known as the “Wet n Wild” of Pakistan. 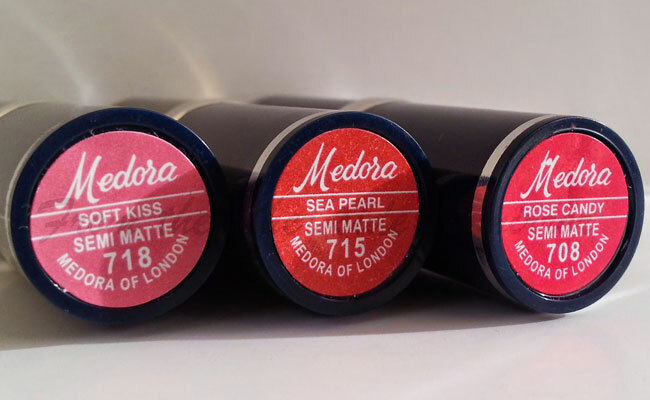 Medora lipsticks are available in a wide variety of hues and shades. They offer an alternative for all the big names in the market. The individuals with all sorts of tastes and liking will find something for their utmost satisfaction. The company has invented a decent formula to give its products a distinctively pleasant aroma. A solid lipstick renders an attractive color to your lips but a liquid lipstick can do a lot more. 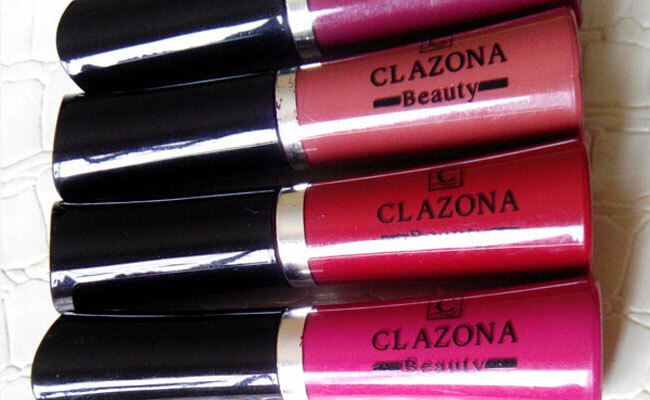 Especially, a liquid lipstick like Clazona makes your lips so glittering, fresh and fabulous. Once you experience it yourself, it will become a holy grail cosmetic product in your beauty box. The true fashion lovers are admirers of the worth of this quality item from a Sialkot based company. At the same time, this 24-hour matte lip gloss is incredibly economical and falls very light on your pocket. It means, by spending a little amount, you can give your lips a fantastic glossy appearance for the whole day long. Just pay Rs. 150 and bring it home for regular use. Are you looking for something that can give natural freshness to your facial skin? 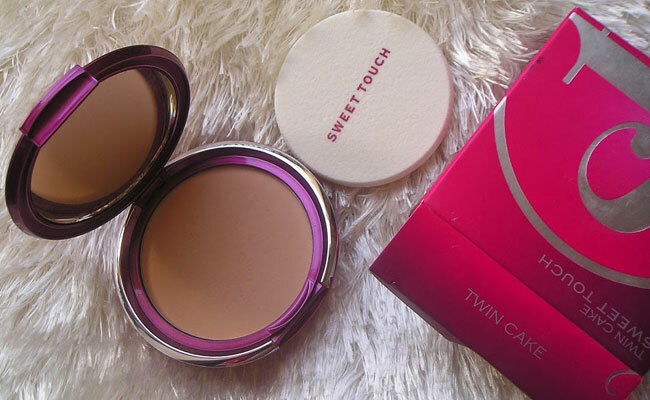 Twin cake face powder, from the house of Sweet Touch, is waiting for you. Living in a humid country like Pakistan, this powder is really what you need for cheeks. Comparing Sweet Touch with the foreign brand Nyx, you will find the former to be a better choice. It is better in terms of both quality and affordability. The unique blending in quality enables the powder match your skin tone. So, there won’t be a powdery mess on your face. It is however a bit costlier than you would be thinking, i.e. priced at around Rs. 665. Here is a product from the first line of celebrity cosmetics in Pakistan. 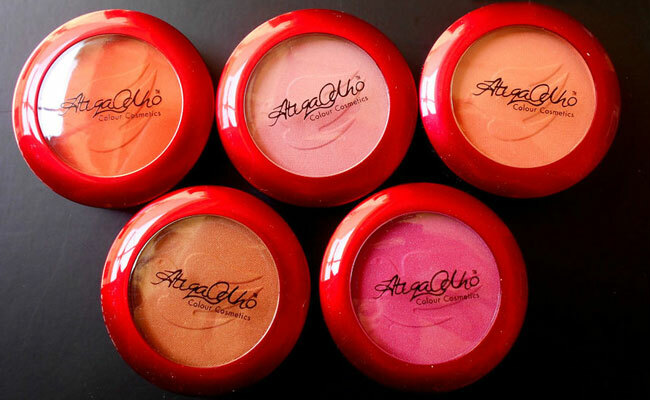 With the estimated price of 450 rupees, the Atiqa Odho offers you pretty blushes in a wide range of colors. Go for your favorite hue ranging from a highlighter gold to the brightest pink. The product is in fact a pack of a lot of pigmentation and has the potential to last for longer than usual. Each of its beautiful shades is named after a bird species. 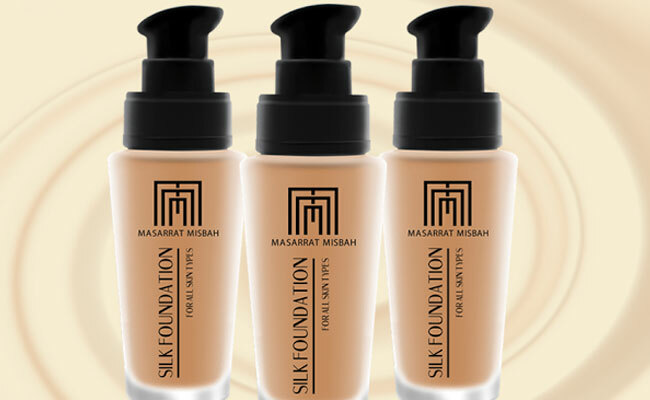 The Masarrat Misbah silk foundation is available in a variety of shades to cater to all the South Asian skin tones. It is something better than the popular Maybelline Fit Me and the L’oreal True Match foundations. At the same time, Musarrat Misbah is an attractive alternative for one of the most liked foundations in the market, namely, Giorgio Armani Luminous Silk Foundation. The product pays special attention to the skin dilemmas of people in South Asia, such as humidity. For its super quality and results, however, you are required to pay a reasonably high amount, i.e. around 1,450 rupees.